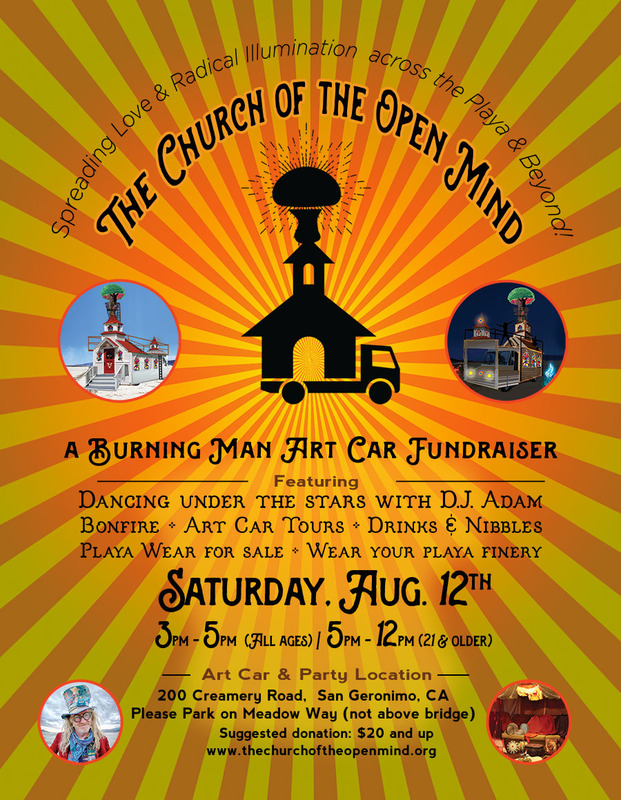 The Church of The Open Mind was an Art Car that attended the 2017 Burning Man Event. 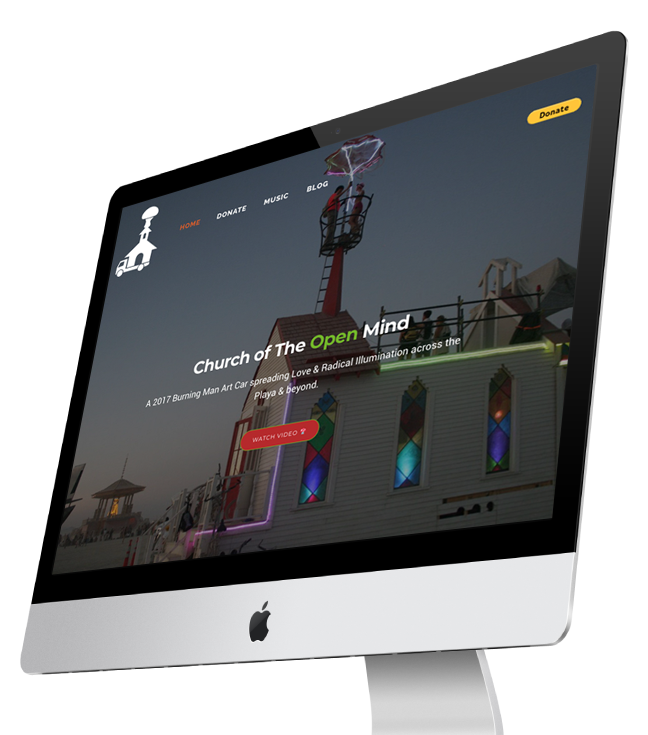 It’s mission was to spread love across the Black Rock Desert and provide a dance space to bring together people from 20 different countries across the globe. 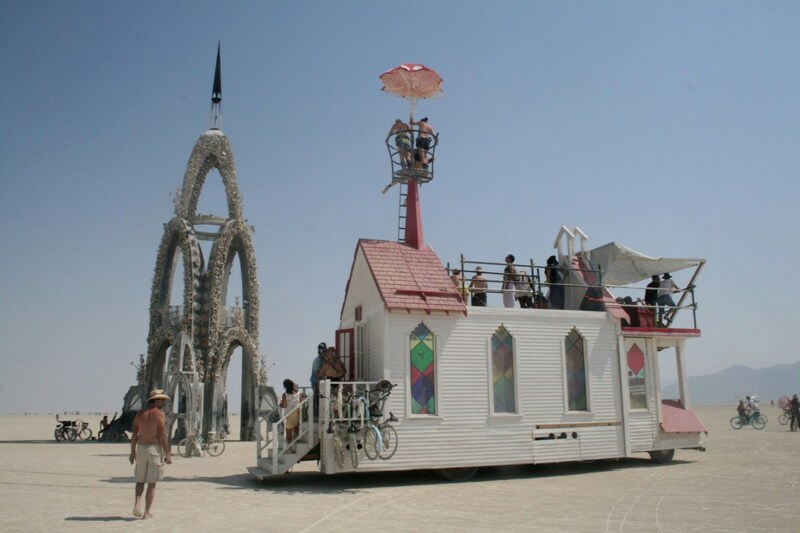 The theme of Burning Man 2017 was Radical Ritual and this rolling church was the perfect vehicle for magical connections. Along with a group of veteran burners, Nicole embarked on one of the craziest rides of her life. The best part of it was experience was the joy of gifting that builds a city of 70,000 people. Magic truly happened to get this car built but it was the magic of meeting the riders that truly made the experience matter the most. 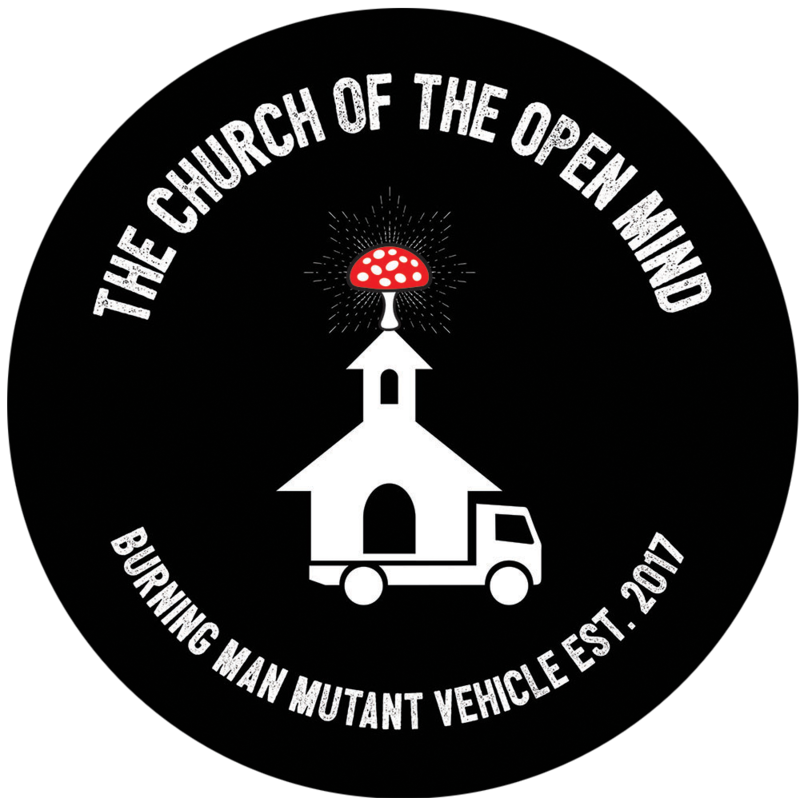 This was no ordinary Mutant Vehicle, but a radical rolling church built on a truck frame with a mushroom topped spire. 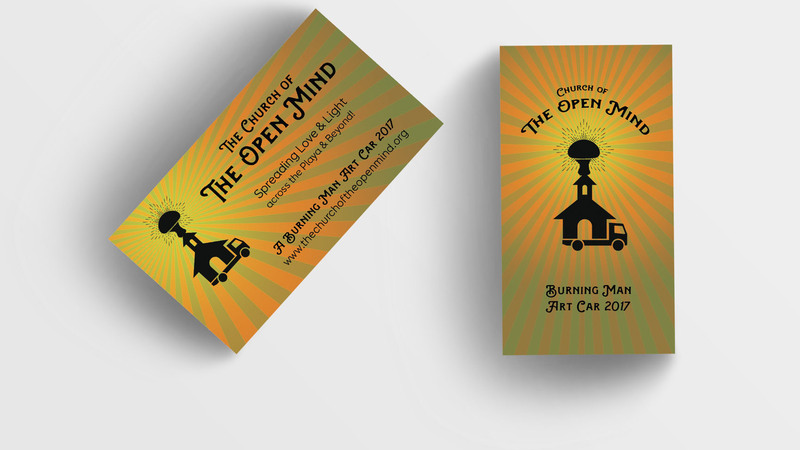 The steeple was a vividly colored, radically illuminated mushroom. The mushroom sat on a pirate’s nest 30 feet up and visible from far away. At times it resembled The Tree of Life or A Light in the Sky. 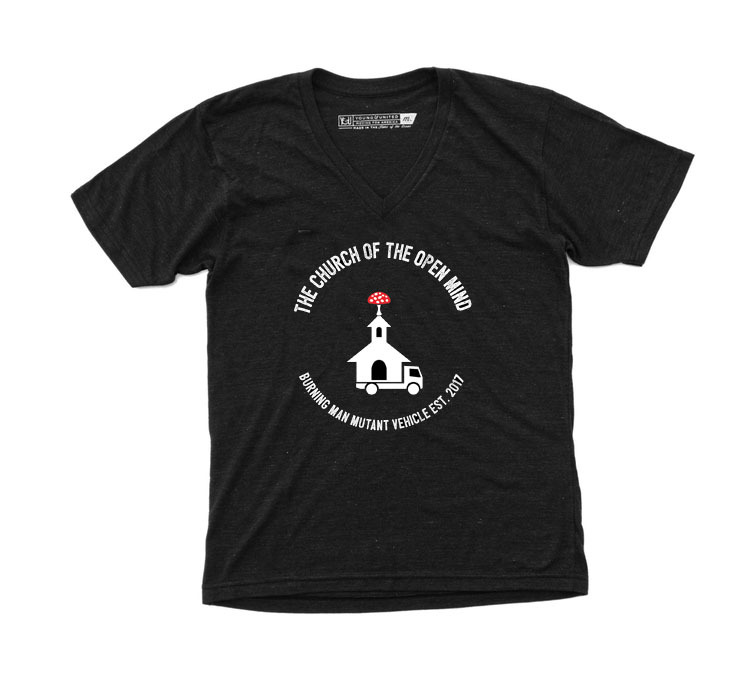 We welcomed many interpretations.